This salve is great for rubbing into sore joints and muscles. 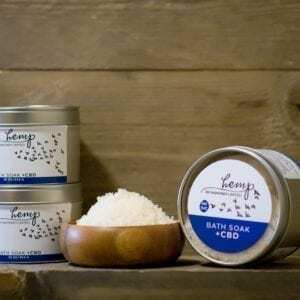 Our CBD Infused Muscle Salve is designed to pamper your skin while delivering a potent dose of CBD. It is hand made with argan organic oil as well as skin-loving olive oil and beeswax. We also add some organic peppermint essential oil to help it penetrate into your skin. Chose the small tin (1/2 oz – 50mg CBD) or the regular-sized tin (1.25oz – 125mg CBD). This is an amazing tin of muscle pain relief. Our small size is perfect for your gym bag. To get the best results when using Mahoney Limited CBD Infused Muscle Salve, rub it in right at the point of pain. Give it more than just a quick pass, rub it in until it’s all absorbed. It is important to know how to use CBD Products effectively. In this case, the secret is to rub it in well. Use this salve for pulled muscles, back pain, stiff neck…. anywhere your muscles hurt. Available in Regular and Travel Size. Ingredients: organic olea europaea (olive) oil, argania spinsosa (argan) oil, cera alba (bees wax), CBD isolate, organic essential oil. Our cannabidiol, or CBD, is extracted from the mature stalks and stems of hemp plants. It contains no THC, the chemical compound which causes dysphoria and is associated with marijuana. 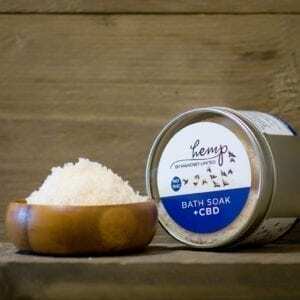 Since our CBD is extracted from hemp, it is legal in all 50 states. * We use a pure isolate and each batch is independantly lab-tested for purity.